Seven Christmases have passed since Sonia Pettit last heard from her daughter Jody. Since Jody's departure, Sonia's world has been turned upside down. Her husband has died of a broken heart, and her son, bitter over his sister's destructive actions, has become rebellious. Her greatest desire is to have her family together at Christmas, but after what Jody has put them all through, can Sonia truly forgive her daughter? Jody Pettit O'Dair ran away to experience a life of adventure and excitement, but since her departure, her world has been turned upside down. She's been abandoned by the man she met and married, lost her job, and is unable to care for her two children. With nowhere else to turn, this prodigal daughter begins the long journey home and prays she will be welcomed after walking away so long ago. Will Jody find forgiveness in the arms of her family as easily as she received it from God? Dr. MaryAnn Diorio is an award-winning, widely published author of fiction, nonfiction, and poetry. She writes compelling fiction that deals with the deep issues of the human heart. MaryAnn's works have appeared in hundreds of magazines, newspapers, and journals. She has authored three books for junior high school students as part of the Understanding Literature series for Enslow Publishers. Dr. MaryAnn, as she is affectionately called, has taught at major writers' conferences and currently teaches fiction writing online for Regent University. MaryAnn is happily married to Dominic, an ER physician. They are the blessed parents of two wonderful grown daughters, Lia and Gina, a beloved son-in-law, Peter, and a precious new granddaughter, Annamarie Joy. Two beautiful Sheltie granddogs round out her fun-loving family. In her spare time, MaryAnn enjoys painting in oils, acrylics, and pastels. She also loves to walk, play the piano, crochet, and make up silly songs to sing with her granddaughter. 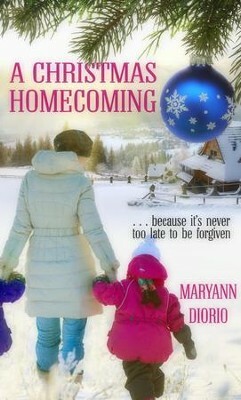 I'm the author/artist and I want to review A Christmas Homecoming: Short Story - eBook.